In Rome Insula was an apartment building just like this. 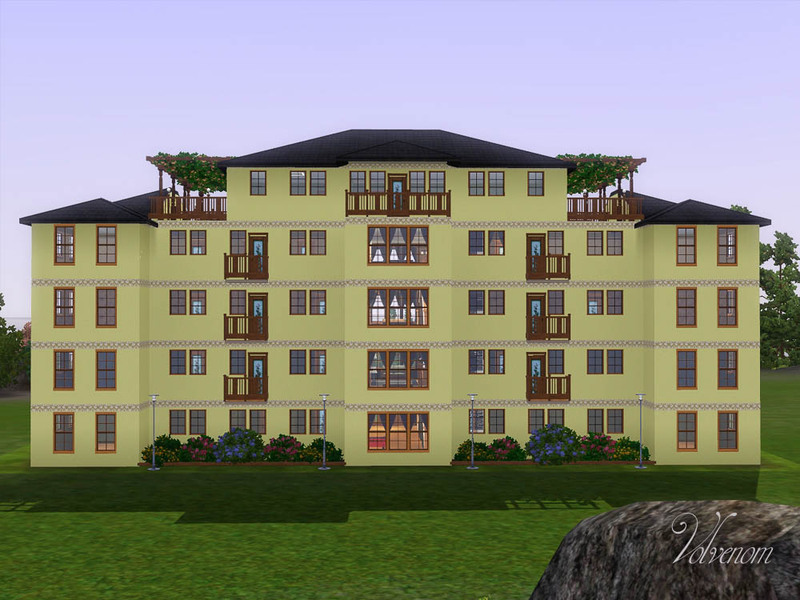 Traditional cozy apartment building with small units. 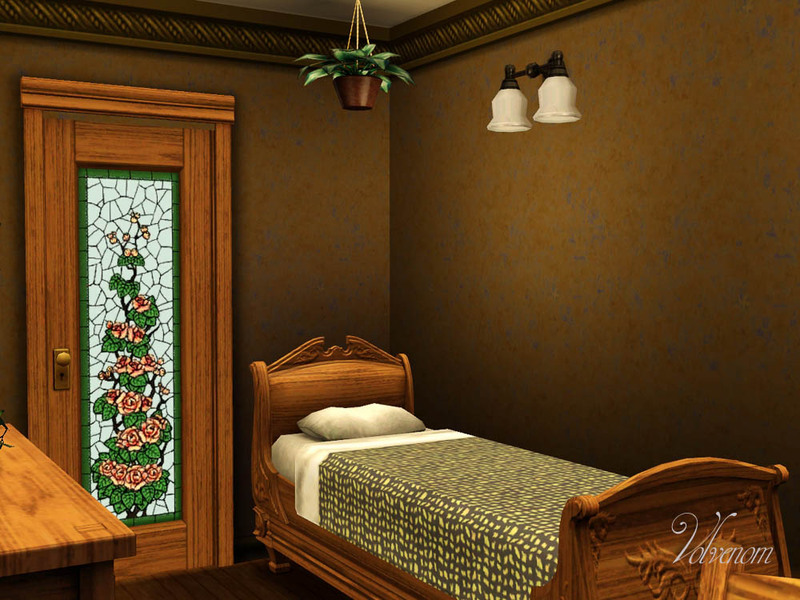 Your Sim has a room 5x3 tiles and a bathroom in the corridor. This house is one of those lucky ones with a conscientious landlord. It's cheap'ish to live here, but it's well maintained and even has a burglar and firealarm. 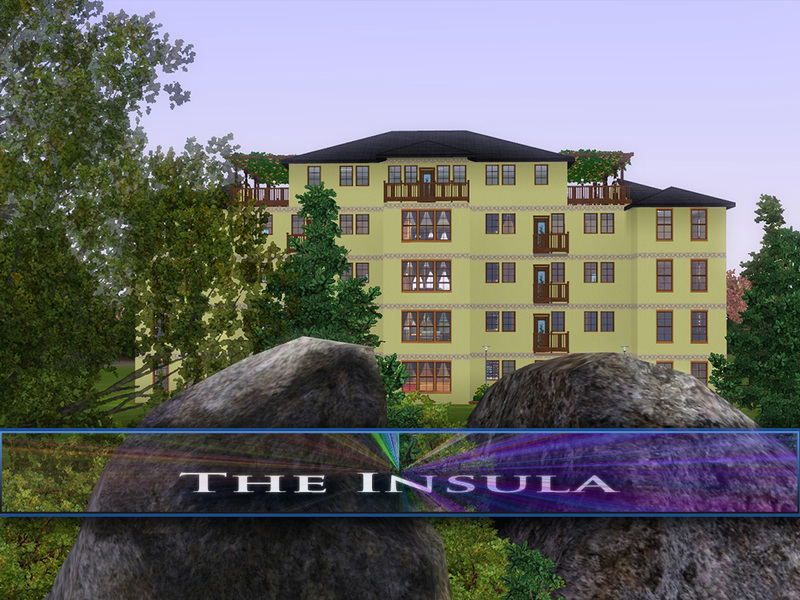 I have made this apartment building with lots of tiny rooms, and some slightly bigger. No flats have what I would call a decent size, they are all quite small still. The resident room as I should call it, above. 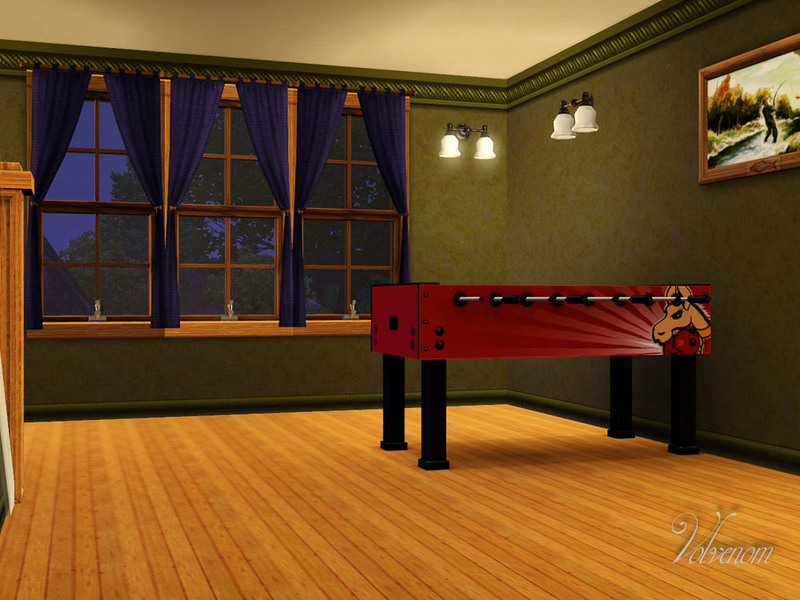 Ground Floor: 15 rooms and a bathroom, foosball and a dresser in the hallway. 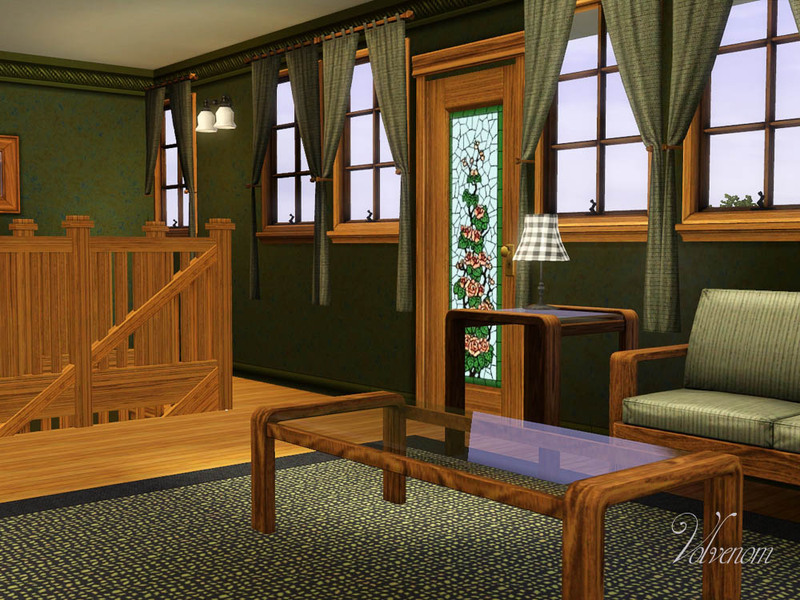 Outside: 15 rooms and a bathroom, seating areas with bookcases in the hallway. 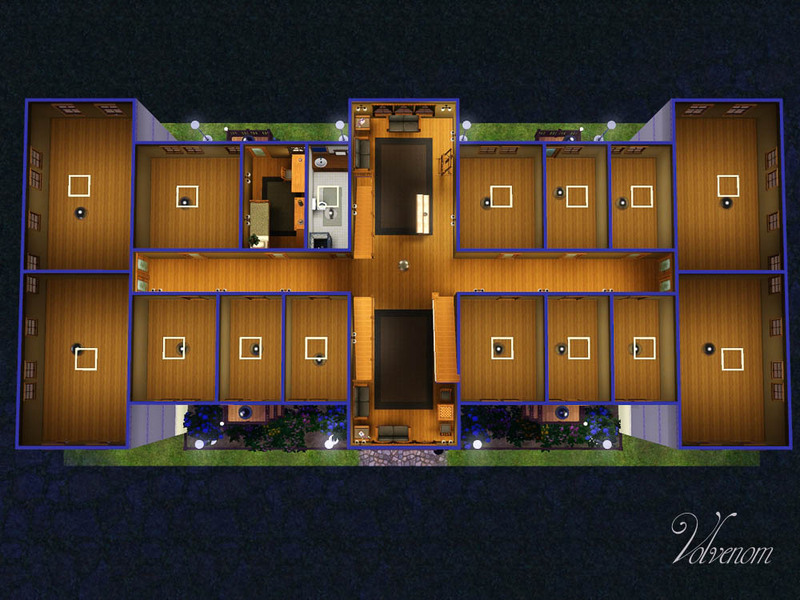 First Floor: 15rooms and a bathroom, seating in the hallway. 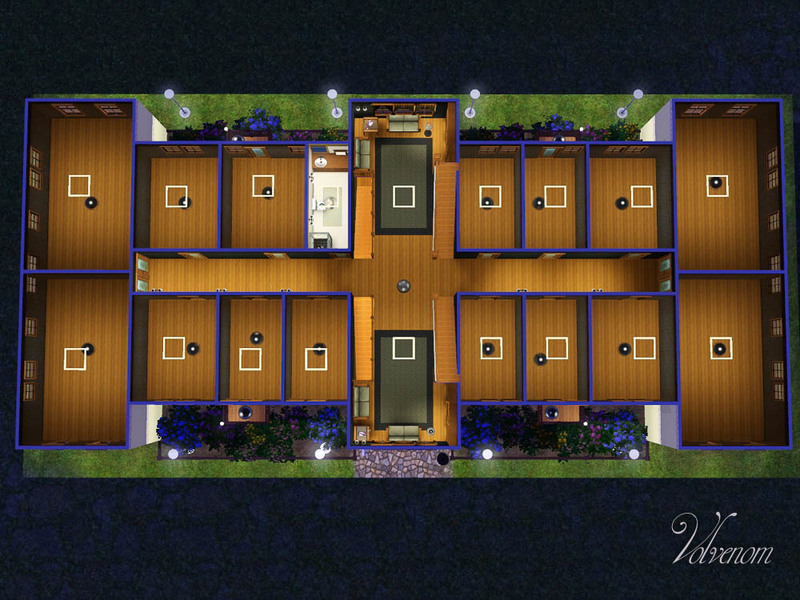 Second Floor: 15rooms and a bathroom, seating in the hallway. 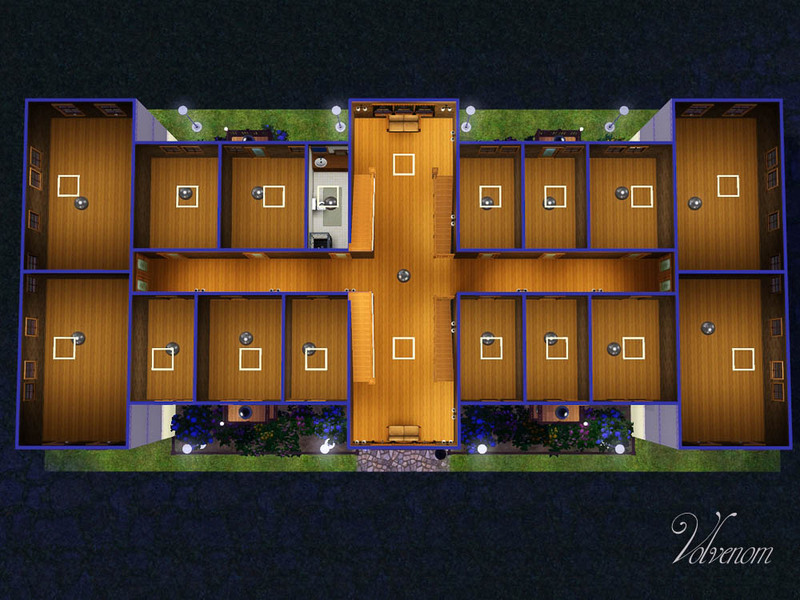 Third Floor: 14 rooms, 1 furnished room with a balcony and a bathroom for the hole floor. Seating with a chess table, juice bar and an easel in the hallway. 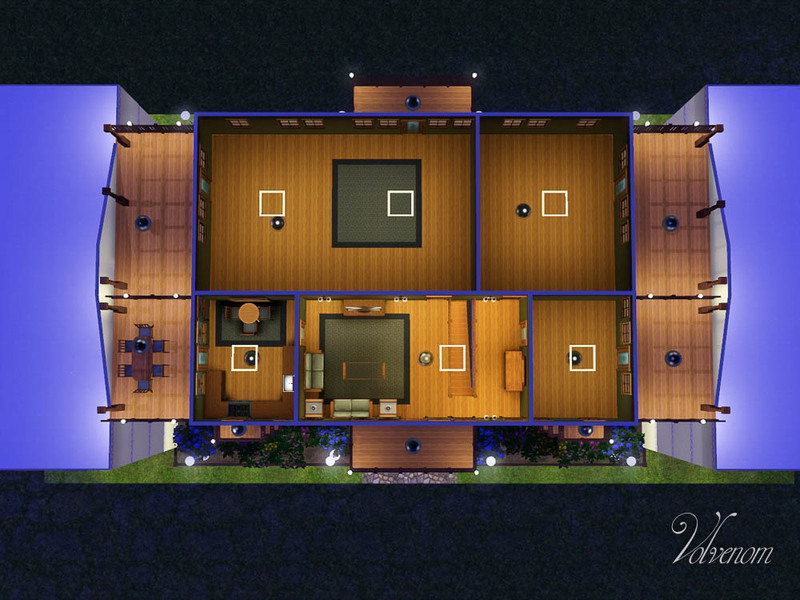 Fourth Floor: 3 rooms with bigger balconies on the roof, quite desirable top roof flats I would imagine. 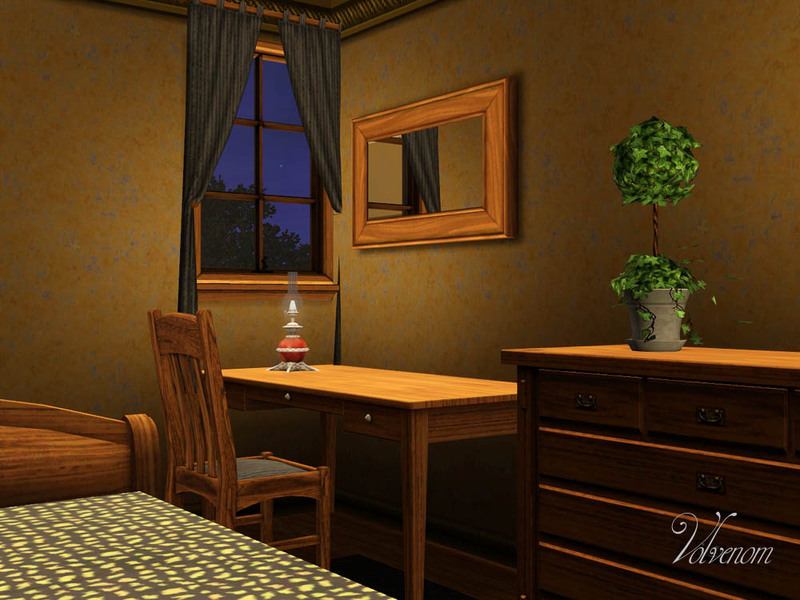 1 of them almost have a what I would call a decent size for ts3, almost. 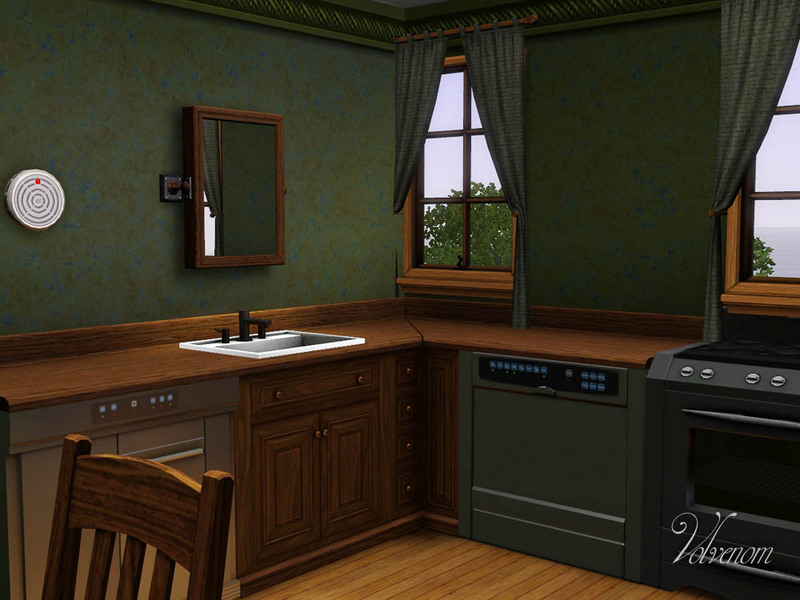 Common room with a TV, and a kitchen with trashcompactor and dishwasher, and a roof terrace with espalier ceiling. No bathroom. This house has two versions. b. 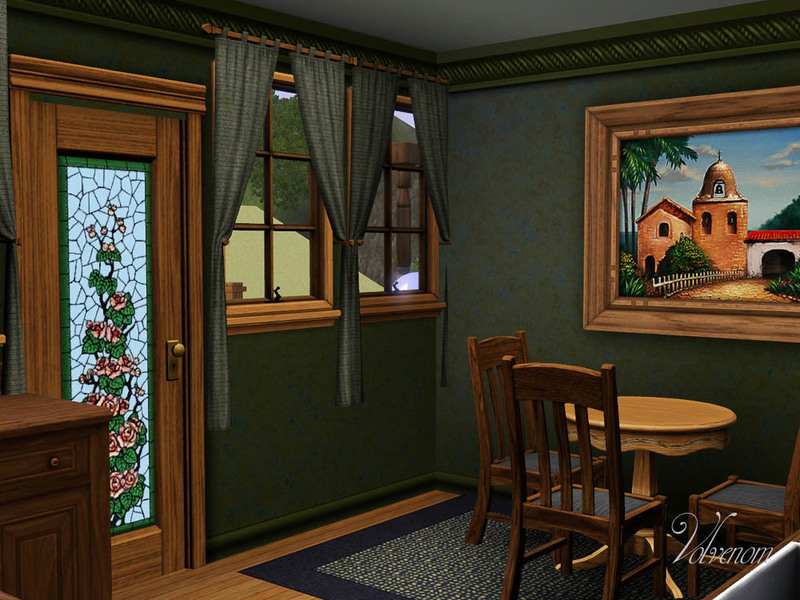 With markers has set all rooms except the one for your active sim, for NPC's. If you want to do changes to this one you need to use a cheat: "RestrictBuildBuyInBuilldings False", change False to True when you're finished. 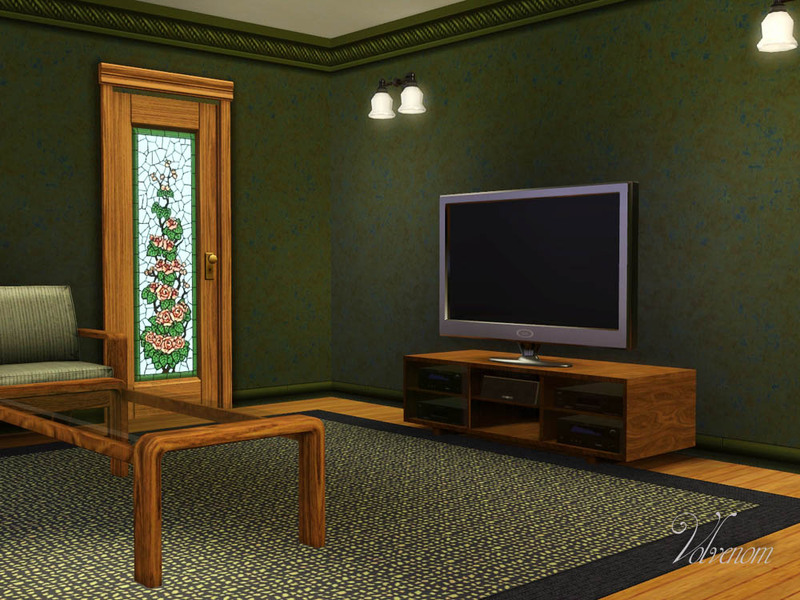 If you like to have another flat for your Sim you can just move the hidden marker from another flat to the one I have furnished. I would suggest you take out the things with a price from the room I have furnished, perhaps just move it to the flat you want to use. Then ctrl+shift + right click on the door of the apartment you want NPC's to use and select "make NPC door". 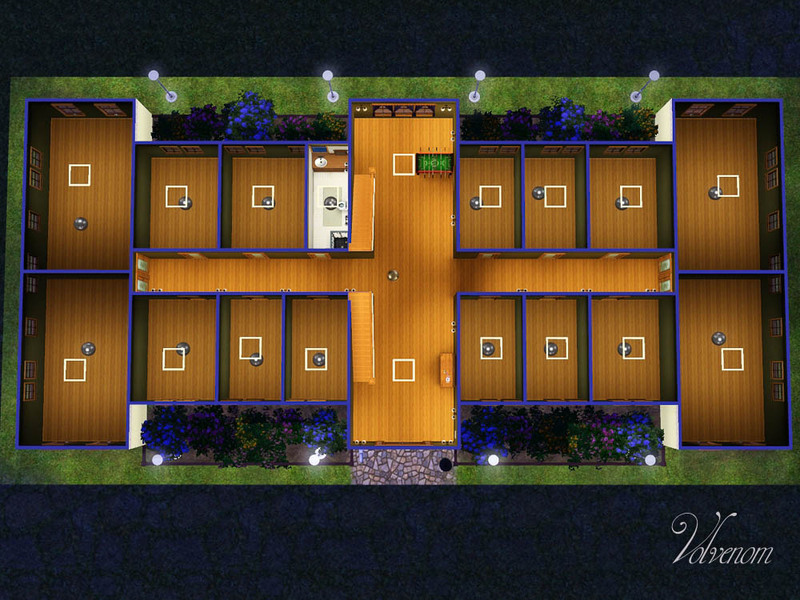 Zoning for both versions: Residential. 47 people have said thanks to Volvenom for this download.